So, today being now Tuesday 🙄, I came home from Worth’s mums. The weather was lovely and it was only 10 minutes from home that I had to stop and put the roof up, not because I was cold this time but because it started to rain. As luck would have it I was almost right outside the fish and chip shop… so Bertie was extremely pleased to see both me and fish. 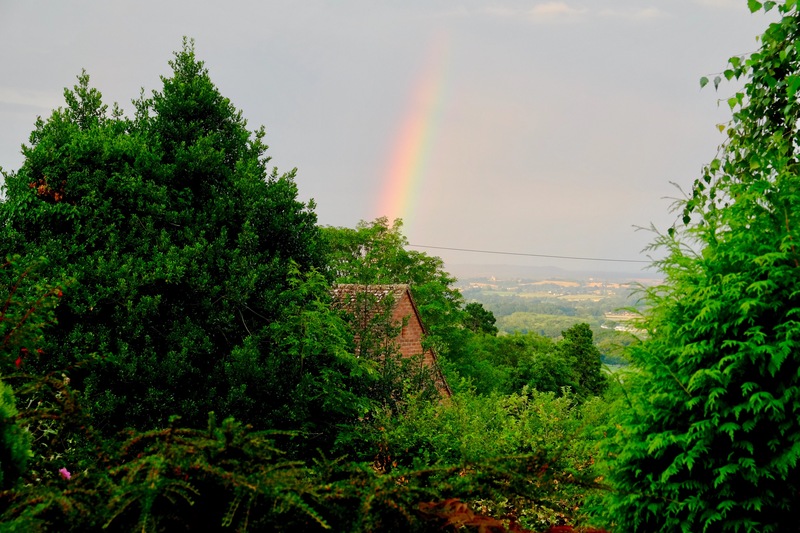 The rain had by now moved off and I had a rainbow to welcome me home. Looks like the crock of gold is in my neighbours roof, I must speak to them.